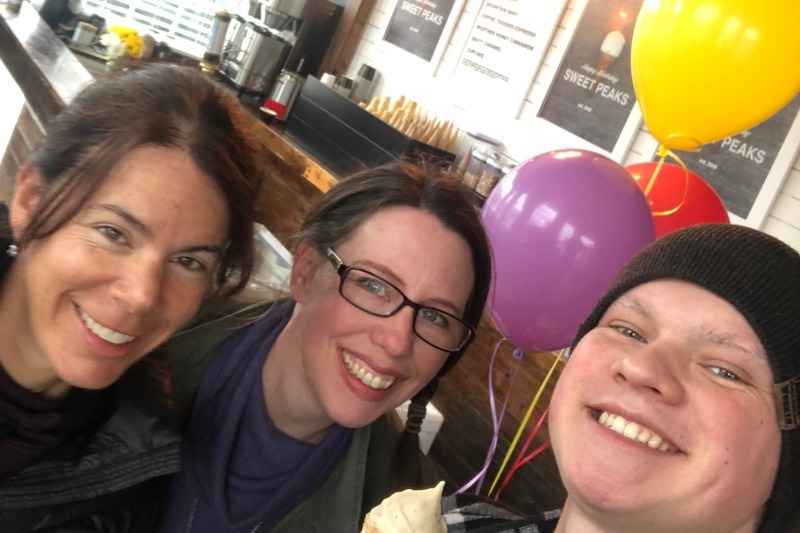 Fundraiser for Bryan Martin by Naomi Herzberg : Help Brendan Beat Cancer! Those who know Brendan Martin, know that he is a highly intelligent, hard working, funny, optimistic, and caring young man that loves God and his country. He is only 17 years old, but he is an Eagle Scout, has graduated high school, started college, and has been pursuing his goal to get into West Point for many years. And now he has cancer. Brendan has been diagnosed with aggressive testicular cancer (stage 2b). In just a two week span he has gone to the doctor because of a large and painful lump, had the tumor surgically removed, and started an intense regimen of chemo because the cancer has spread to a lymph node. Brendan is on three different chemos. He will be in the hospital for five days and nights every three weeks for a total of three cycles. Because the chemo treatment is so harsh, he needs to be on fluids 24/7 for the 5 days of infusions. The good news is that with the chemo treatments, the doctors are hoping for a cure! Going through cancer treatment is very costly. The average cost is $50K or more. Unfortunately, Brendan’s medical insurance does NOT cover cancer treatment. He had obtained a new insurance last year, and cancer coverage would not begin until April of 2019. It did not even cross the Martin’s mind that Brendan would need any medical coverage for cancer! They are doing all they can to try to get some financial aid help, but because their income level is not at the “poverty” level, financial aid is hard to come by. The medical bills have already started piling up for the Martin family. 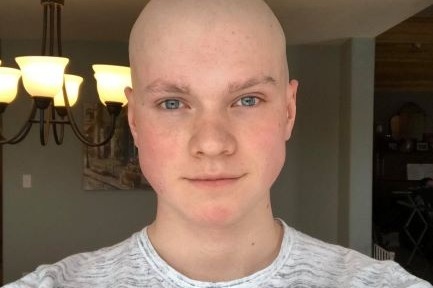 Go Fund Me is a positive means to help alleviate those bills, so that they can concentrate on Brendan fighting this horrible disease and not on finances. If you would be so kind as to donate anything, I know it would be very helpful and meaningful to the Martins. Any and all funds will go directly to Brendan’s medical bills at Kalispell Regional Medical Center. Brendan is remaining positive throughout this whole ordeal. He has faith that God is with him and will bring him through this painful time in his life. He just wants to put this all behind him so that he can get on with his life’s dream of joining the military! Thank you for your support, prayers, and positive thoughts for Brendan. Today we had a surprise appointment with Brendan's oncologist. She had just met with the Cancer Board of Children's Hospital Colorado, to discuss Brendan's case. We all know doctors love to give good news over the phone, so the call yesterday saying that she would like to talk to us in person made us understandably nervous. Before chemo, Brendan's lymph node was 3cm. When we had the CT 2 weeks after his last chemo treatment, the lymph node had shrunk to 1.5cm. That means the chemo did it's job and the lymph node shrunk! We knew, though, that anything over 1cm was cause for concern. Still, it was early and everything looked good, so we were guardedly optimistic. The Cancer Board disagrees. His AFP is borderline at 5.9 and his lymph node size is just across the boarder of 1cm. They are recommending surgery to remove the lymph node. So, what's the plan? Our local doctor agreed that the CT scan was done early. We will be re-doing the scan on April 29th. If the lymph node is still enlarged, we will proceed with the surgery. This is a highly specialized surgery done by only a few doctors around the country. We will most likely be traveling to Denver to have this done sometime in May, if we choose to do it. On the upside, Brendan is officially on Medicaid! Praise the Lord! Everything from here on out should be covered (minus travel expenses). This will not be an inexpensive surgery so we are thankful for the coverage. We don't yet know if there is a deductible or what our part will be, but knowing that the whole bill won't be on us is an amazing feeling. Thank you so much for your prayers and support. You will never know just how much they mean to us. Ahh, the "fun" stuff, because every parent wants to worry about this while their child is fighting for their life. First: Bryan took a job as a contractor in January of 2018. It was a contract-to-hire position, that he was assured would become permanent within 3 months. When they pushed that out another 3 months, we needed to get some form of insurance or coverage in case we had a bad car accident or something. This was just something to tide us over until his company followed through on the full time position in June. So, we chose a company called Aliera. It is a health share that acts more like an insurance company. We were told that our local hospital and doctors were all covered. We were also told that cancer would not be covered for 12 months. This took effect on April 1, 2018. 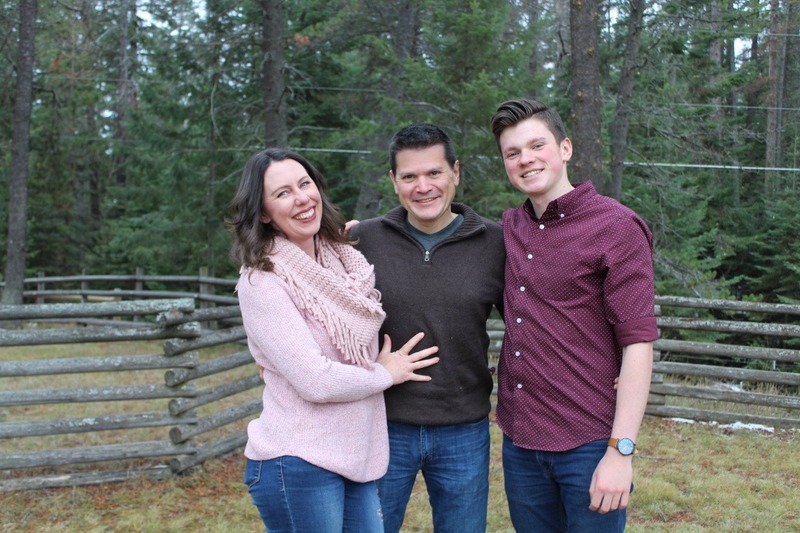 Imagine our surprise when we went to the urologist for the first time and found out he wasn't in network, and that we would have to go all the way from Kalispell Montana to Spokane Washington to find a urologist in network along with a hospital in network! This was for the original surgery to remove the tumor. Until the pathology report came back, there was no official diagnosis of cancer. The surgery should be covered. Tests should be covered. So far, nothing. No one at Aliera will help us. We have reached out to our broker to let him know that we are considering a lawsuit against the company, if they do not respond. Next up: Christian Health Share. Until Brendan received his NED diagnosis, they would not cover anything. Now, they will cover up to $15,000 for his future visits and follow ups. Medicaid - Bryan was working, but knew his contract would be up on April 1st of this year. Medicaid could not help us with Brendan while Bryan was employed. As soon as he became unemployed last week, we headed to the office to file paperwork. The good news is that Brendan will be covered from here on out. The bad news is that they will not do any retroactive pay like they would if it was Bryan or me. All of this because he is a minor. The hospital: Everyone tells us how helpful the hospital can be. Well, not if you make any money. They would not consider us for catastrophic aid until our bill reached $100,000+. When last we checked, we were at $125K, and it was still adding up. That does not include pathology or imaging or any of his outpatient visits or his labs or any of his other tests. The other places will probably take whatever percentage the hospital discounts us and match it. Great! The hospital called on Monday and said they would "only" charge us 20% of last year's gross income plus the value of all of our assets, including our second and third cars and the rental property where we make a profit of a whopping $20 a month. They do not take into consideration the debt that we also carry or the mortgages on the homes. So basically, they are not helping. In case you missed it earlier, Bryan is now unemployed. So, there you have it, folks! We are on the brink of a miracle! We can not wait to see how God will provide. Brendan is anxiously waiting to see if he can go to college this year. He was accepted, but we can't afford to send him or to co-sign on any loans. Because of cancer, he doesn't know if the Army will still take him and it is going to be a little while before he finds out. The goal was always to have a career of service, which would cover his tuition. Now, it is all unknown. Thanks to the go-fund me campaign and all of your generous donations, we have received over $20,000 to go towards the medical bills. Thank you all so very much. We are assuming our total bills will be well over $200,000 when all is said and done. We have a long way to go! Thank you for your help and for sharing our story with others. We are blown away daily by the generosity of friends and strangers alike. I wish I could thank you all individually, but I can't, so thank you from the bottom of my heart. First off, we would like to thank all of you for your generous support and continual prayers! Things here have been a bit crazy, as you can imagine, so I apologize for the delay in posting an update. Sorry, this one is a bit long. On March 8th, Brendan received his last inpatient treatment. 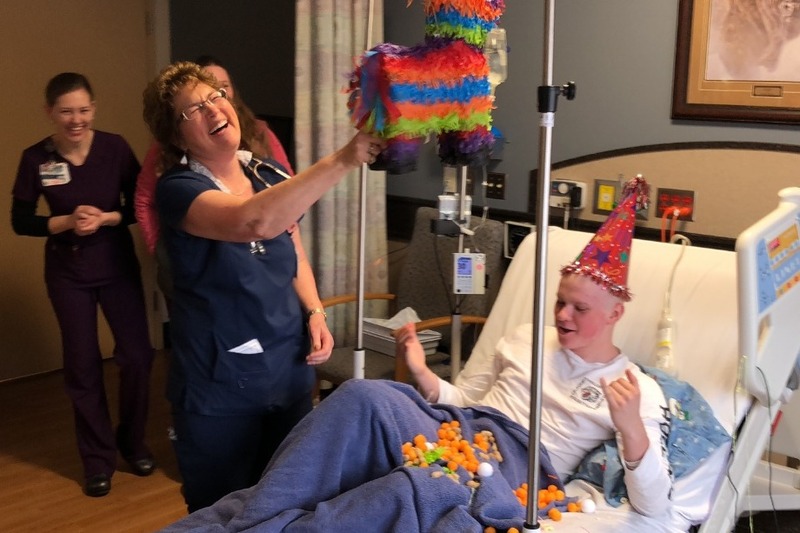 The nurses all came in to say goodbye and to break open a pinata that we had strung up over his bed. You can imagine his surprise when it opened and he was covered in peanuts, cheese balls and ping pong balls...it took him a minute to catch on and then everyone was rolling with laughter. It was great fun and lightened his mood considerably. He needed that, because the next two weeks were the hardest. After he left the hospital on Saturday, he still had two more Monday infusions that were outpatient. He always thought of these as easier, but by weeks 8 and 9, there was nothing easy about them. He felt like trash. He was restless and tired of being cooped up. He wanted to be out "doing" and having fun, but his body would not allow it. On the bright side, his doctors and nurses decorated the office for him on his last day of infusion. They bought him a cake with the Army Ranger's symbol on the top and gave him a very loud cow bell to ring, that everyone in the office had signed. Again, great fun, but tough, none the less. That last day they also drew blood to check his tumor markers. We got a call later that week that his markers were slightly elevated from the week before. This was the first ever up-tick. They were on the boarder of the normal range. The doctor wasn't worried but mama's heart broke. We had to wait two more weeks for the next test. April 1, was our first big post chemo test day. It started at 9am with a CT scan, followed immediately by a hearing and lung test. After a brief lunch, we headed to the oncologist for a full review of the results and more blood work. After reviewing all of the results, Brendan was declared NED! (No Evidence of Disease) His lymph node was back within normal range and his blood work came back normal. His lung function and hearing function were basically unchanged from before chemo, which is amazing and a total God thing. His next check up is in a month. Now, Brendan has started the long road to recovery. If you have ever met Brendan, you know that he is the poster child for "Type A" personality. So, it will be no surprise to you that he was back at the gym one week later, for his full 2 1/2 hour workout. Funny thing is, it took him all week to recover. So, he has had to re-set his expectations. He went back today and is hoping to go back in another 2 days. 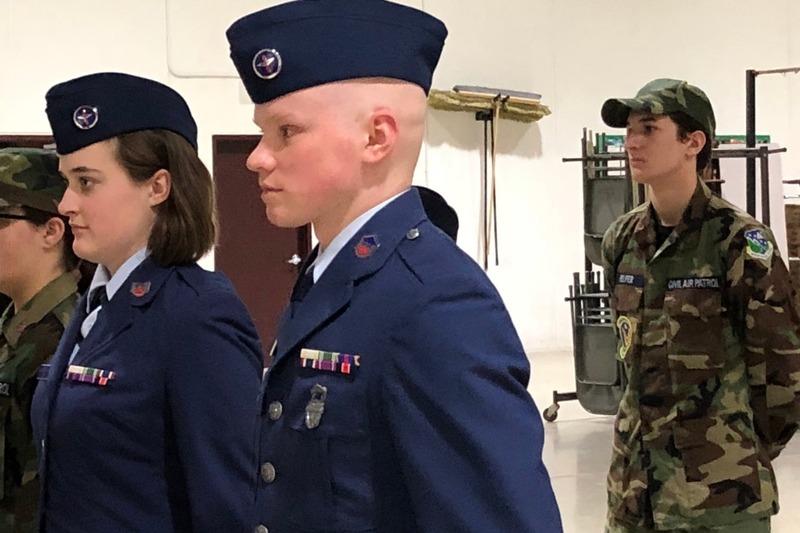 Through this whole thing, Brendan has managed to stay active in Civil Air Patrol. He even started teaching a knots course to his Squadron in preparation for their summer emergency services grounds training. Last week he was able to qualify for his next rank advancement, having only a one month delay in his advancement schedule, due to chemo. 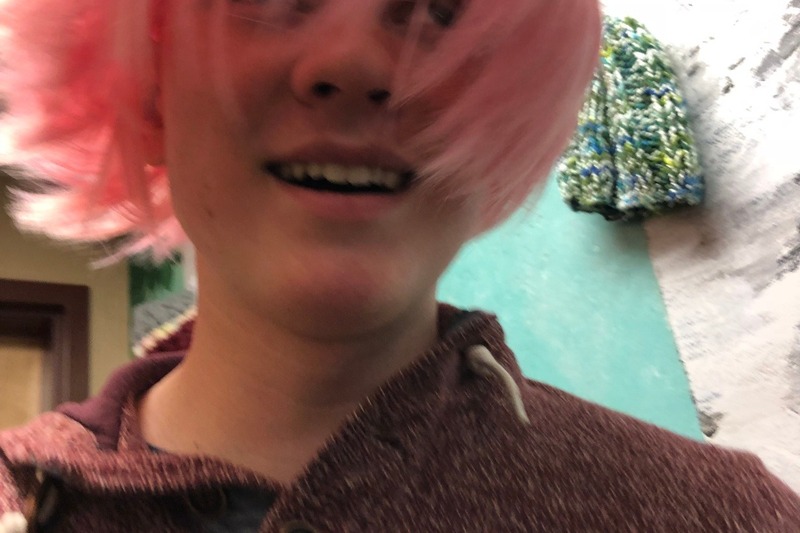 He is currently starting some baking projects while he waits to see how the finances pan out and whether he is able to accept his offer from Embry Riddle's School of Global Security and Intelligence, this fall. The plan was to go through ROTC and get the army to pay for school, as he is hoping for a career in the military. Now, we don't know if the army will will take him. The other option is to work for "The Company". (feds) They don't have a scholarship program though. So, his future is unclear at this point. This is tough for a driving personality like Brendan. He has been ready to leave for college for the past 2 years, and the thought of having to wait another year because of cancer and finances, is super frustrating. We are trusting the Lord with this part too. God has a strong calling on Brendan's life and we believe that He will make a way. If you made it this far, thank you. I will make a second post outlining the financial side for this chapter in our lives. May God bless each of you and thank you for your continued prayers and support. The above rhyme is one that my mother taught me, and it has come to mind more and more as I have seen the outpouring of love as Brendan battles cancer. Hearing a cancer diagnosis for your child literally knocks you flat, as a parent. Knowing that your insurance won't cover it adds a whole new layer of shock. Our new favorite saying has been, "But God". *Brendan has cancer - But God is greater. *The bills are more than we can fathom - But God's accounts are bigger than the hospital's. *But? But? - BUT GOD! pleasant land full of love and a peace that surpasses all understanding. You can log in and subscribe to get notified when he posts.